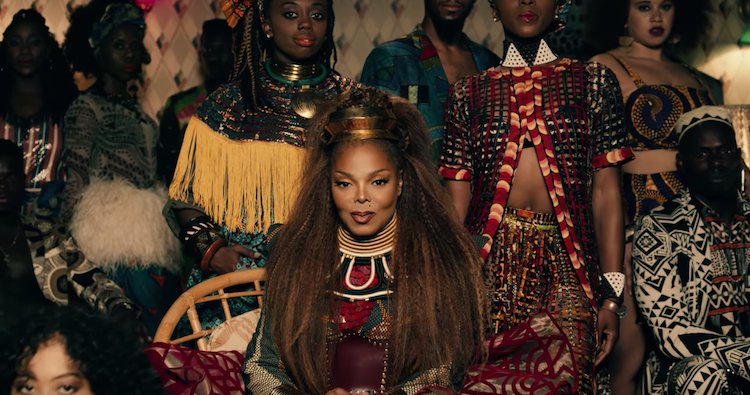 Janet Jackson and Daddy Yankee‘s “Made For Now” has solidified itself as a club culture staple securing the #1* Greatest Gainer Billboard Dance Club Songs chart position. The club-ready remixes by Dirty Werk and Eric Kupper helped to give the original (produced by Harmony Samuels) its needed push from last week’s spot at #2* Greatest Gainer slot. From the Rhythm Nation‘s initial release until now, the Anglo/Hispanic collaboration has amassed some 8,000,000 plays on Spotify, with the official video, featuring a dance crew hailing from Ghana, Nigeria, Grenada, Trinidad and the U.S., racking up over 43,000,000 views. The innovative track that uses dancehall vibes, advocates for living in the moment, as is evident within the video that features spontaneous and carefree neighborhood dance parties.